In Command. Easily. 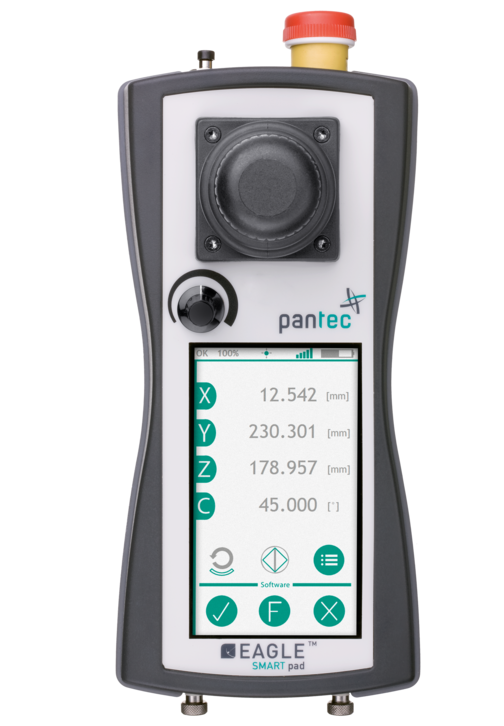 With the new SmartPad™ units from Pantec. These devices provide multi-functional and comprehensive CMM operation with user-friendly wireless connection. Thanks to the open programmability of the SmartPad™ you can program the user interface, functions and interactions with the CMM software to meet your individual needs. The capacitive 4.3" color LCD display shows all information at a glance, and features single touch technology that ensures smooth and easy operation, even with gloves on. With optimal functionality, SmartPad™ ensures ideal measurement processes.